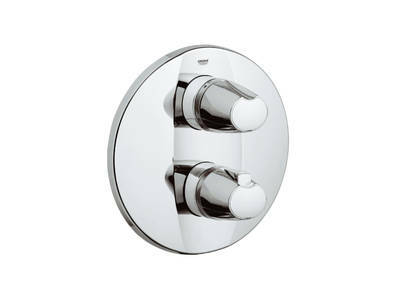 For sculptural modern styling and premium features choose our Grohtherm 3000 thermostatic shower mixer. 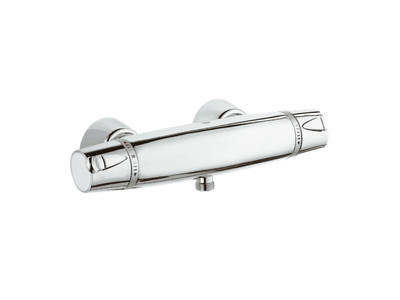 The gentle tapering design is tactile and inviting – making it the perfect choice for today’s contemporary bathrooms. 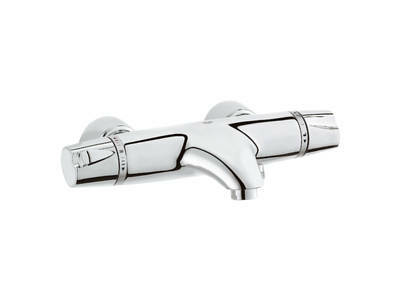 The dynamic silhouette is enhanced by GROHE StarLight®, our pristine chrome finish, and is packed with all the technologies you require for a safe and enjoyable showering experience. 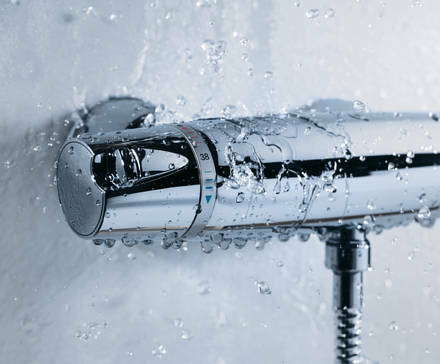 GROHE TurboStat®, our award-winning thermostatic technology, reacts rapidly to any change in the water supply ensuring the temperature of your shower water remains constant, while GROHE CoolTouch® technology prevents the outer surface from becoming too hot to touch. 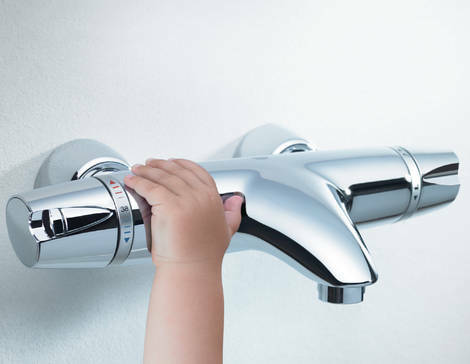 Follow the link to get to know how GROHE CoolTouch® works. 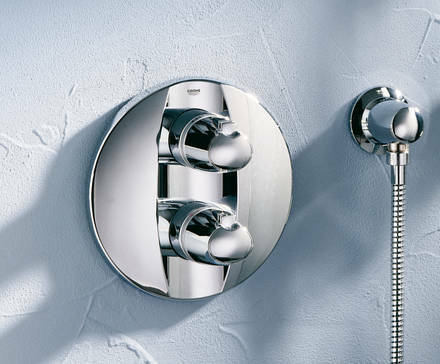 The Grohtherm range is available in a choice of styles and features - enabling effortless design coordination in the bathroom.